Baby boomers—the roughly 78 million people who make up the wealthiest, best educated, and most sophisticated segment of consumers in the United States—are going to war with the aging process. They want to fight off chronic disease and the visible signs of aging on their own terms, which is often synonymous with a nonpharmaceutical, “natural” approach that allows them more control over their health. Hence, the allure of antioxidants. It’s what sells books such as Maximize Your Health-Span With Antioxidants: The Baby-Boomer’s Guide by Carmia Borek and a stream of antioxidant supplements. In fact, $3 billion in antioxidant supplements were sold in the United States in 2006, according to the Nutrition Business Journal. Despite their best intentions, boomers aren’t as successful at maintaining optimal health as they might hope. They are well on the road to putting increased demands and challenges on an already stressed-out healthcare system, according to an American Heart Association report released in May 2007. The over-65 population will nearly triple between 1980 and 2030, with more than 37 million of them (six out of 10) managing more than one chronic condition by 2030. By that time, an estimated one fourth of boomers will be living with diabetes, almost one half will have arthritis, and more than one third will be considered obese. Researchers from the Population Aging Research Center at the University of Pennsylvania published their analysis on data from the Health and Retirement Study in 2006, concluding that boomers on the verge of retirement are in poorer health than their counterparts were 12 years ago. Such health concerns further cement the lure of antioxidants. • They seek functional foods to delay aging. 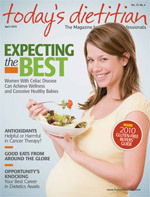 • They know how food impacts their emotional well-being and mood. • They are more concerned with the total eating experience. • They enjoy learning new cooking techniques. • They use supplements for prevention. • They pay attention to packaging. • They are rule breakers. • They are adventurous, media savvy, Internet articulate, and well educated. • They spend more on groceries than any other demographic. Boomers target antioxidants and antioxidant food sources for health benefits that include heart health, cancer prevention, bone and joint health, eye health, immune function support, skin and beauty benefits, and cognitive function protection. Food marketers report that boomers’ understanding of antioxidant benefits is so sophisticated that it’s no longer enough to say an antioxidant is “powerful.” The Oxygen Radical Absorbance Capacity, a method of measuring antioxidant capacities in samples, for particular foods has been bandied about so much that its significance has grown passé. Boomers want to tie a particular antioxidant or food source to specific health attributes, whether it’s improved vision or immune support. The antioxidant attraction is further fueled by the fact that many boomers aren’t getting the recommended number of fruit and vegetable servings according to MyPyramid; thus, supplements become a method of ensuring that they get enough important antioxidants, which really should be coming from their diet. And the exotic superfruit industry—from açaí berry to mangosteen—has cashed in big time with the boomer crowd. To top it off, the food and beverage industry is promoting antioxidant-rich foods and beverages specifically to boomers with health promotion lingo and images of boomer actors in print and television campaigns. The addition of antioxidant ingredients such as blueberries is also a proven sales tactic in the food industry, and dietary supplement makers boldly promote health benefits related to antioxidant products. The top 10 antioxidants in the U.S. market by sales in 2006, according to Nutrition Business Journal, were vitamin C ($863 million), vitamin E ($395 million), Coenzyme Q10 ($377 million), vitamin A/beta-carotene ($313 million), noni juice ($257 million), green tea extract ($228 million), mangosteen juice ($147 million), plant oils ($144 million), soy isoflavones ($69 million), and cranberry ($68 million). Boomers can be a sophisticated group bent on following their own rules when it comes to managing their health. But in the world of antioxidants, many challenges await them—from wading through Internet scams to avoiding potential health risks of beta-carotene supplements. Dietitians have the perfect skills and knowledge base to sift through the unreliable information and can help them find the true antioxidant gems that can help them achieve the active, healthy lifestyle they crave. Note: This is a partial list of antioxidants.